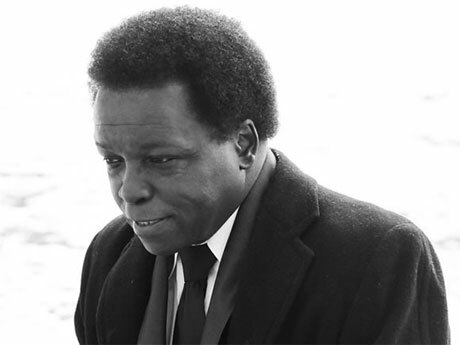 Soul survivor Lee Fields and his backup band the Expressions have announced they'll be back out on the road later this year to support their upcoming Emma Jean album, hitting up a couple of Canadian tour stops along the way. The tour schedule kicks off May 29 at New York's Bowery Ballroom, acting as the record release party ahead of the album's official June 3 street date via Truth & Soul Records. From there, the band head overseas for a handful of European shows, but they'll be back in North America by the end of June. Following some U.S. appearances, the Expressions will perform in Victoria and Vancouver, and close out the trip back beneath the border. You'll find the details in the itinerary down below. Emma Jean is Fields' third full-length for Truth & Soul, following 2009's My World and 2012's Faithful Man. The record was tracked with producer Leon Michels, with a press release noting the album has the Expressions "moving from being content as contemporary soul music royalty and instead delving into and exploring its next steps." Down below, you'll also find the new music video for the record's soulful, pedal steel-spiked cover of JJ Cale's "Magnolia." The single is also being served up on a 7-inch, with "Talk to Somebody," a song focusing on "impossible relationships with negative people. The single drops May 8 and can be pre-ordered here.